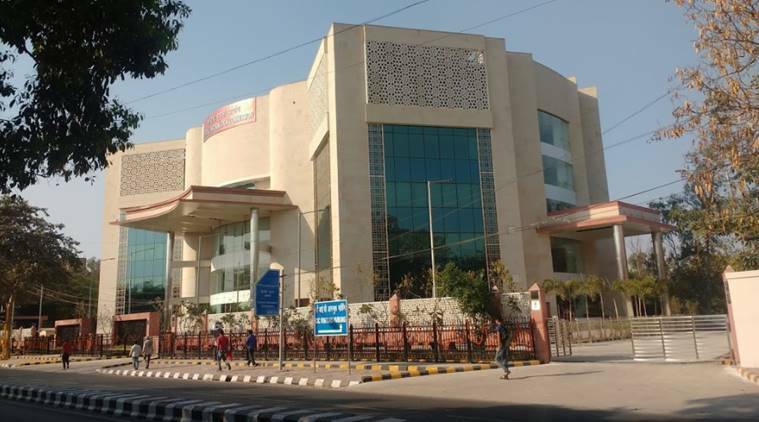 Central Information Commission building in New Delhi. In what is being seen by the Central Information Commission as an attempt to erode its independence and undermine its role as per the Right To Information (RTI) law, the government has proposed setting up bureaucrat-led committees that would sit and decide on complaints against the Chief Information Commissioner (CIC) and Information Commissioners (ICs). This proposal was sent to the CIC late last month seeking its views. It was signed by an Under Secretary in the Department of Personnel and Training (DoPT). A committee with majority bureaucrats scrutinising complaints against Information Commissioners will skew checks and balances in favour of the political executive. Section 14(1) of RTI Act insulates them, saying they can be removed only by the President after the Supreme Court, on a Presidential reference, has, on inquiry, called for the removal. That’s why the proposal is being opposed by the full Commission. For the former, the committee is proposed to include the Cabinet Secretary; Secretary, DoPT; and a retired CIC. For ICs, the committee will include Secretary (Coordination) in the Cabinet Secretariat; Secretary, DoPT; and a retired IC. Clearly, in both the committees, government officers will be in a majority. As of now, when there is a complaint against any Information Commissioner, the convention is to place it in the Commission’s meeting. It has been the practice that the CIC attends to complaints against ICs and if there is a complaint against the CIC, it is attended to by the sitting Information Commissioners. Sources said the full Commission — the CIC plus at least five ICs — discussed the DoPT proposal at a meeting on March 27. “The proposal was unanimously opposed by all present in the meeting. It was decided to convey the Commission’s views in a detailed note that will consider all legal, technical and administrative aspects of the proposal,” said a source on the condition that he not be named. The Information Commissioners, including the CIC, carry the same status as judges of the Supreme Court and are appointed by the President of India based on recommendations of a committee chaired by the Prime Minister and including the Leader of Opposition in the Lok Sabha and a Union Cabinet Minister nominated by the PM. Section 14 (1) of the RTI Act states that Commissioners can be removed only by the President on the ground of proved misbehaviour or incapacity after the Supreme Court, on a reference made to it by the President, has, on inquiry, reported that the CIC or any IC ought on such ground be removed. Section 14 (3) states the President may remove a Commissioner if he/she is adjudged an insolvent, has been convicted of an offence which involves moral turpitude, engages during his/her term of office in any paid employment outside, is unfit to continue in office by reason of infirmity of mind or body; or has acquired such financial or other interest as is likely to affect prejudicially his functions as the CIC or an IC.